There are several shutter release modes you can select to determine how and when the camera shutter activates to capture the image. S (single frame): the camera takes one image each time the shutter release button is pushed all the way down. Use when you have plenty of time to compose your image with a subject which is relatively stationary. CL (low speed burst): the camera will capture a low-speed burst of images while the shutter release button is continuously held down. Use when your subject moves enough it is difficult to compose the image exactly as you desire. This is a good choice to photograph active children. CH (high speed burst): the camera records the maximum frames per second it is capable of while the shutter release button is continuously held down. Use to capture images of active sports or when the subject is very active. This is also a good choice if the event/scene/action may never happen again so you’ve got to get an image while it’s happening (you can sort/delete/edit later). LV (Live view): What you normally see through the viewfinder is now visible on the LCD monitor on the camera’s back. Use when it’s hard to look through the viewfinder or having a larger image makes it easier to achieve a precise focus. This is a great choice for shooting macro images from a tripod. Self Timer: a period of time expires between releasing the shutter release and the shutter tripping. Use to permit you to join a group photo or to allow the camera to quit vibrating from the mirror slapping into the up position. You can choose how long the timer runs before the shutter snaps. Mup (Mirror Up): If the slightest camera movement would destroy a critical focus, choose this mode. 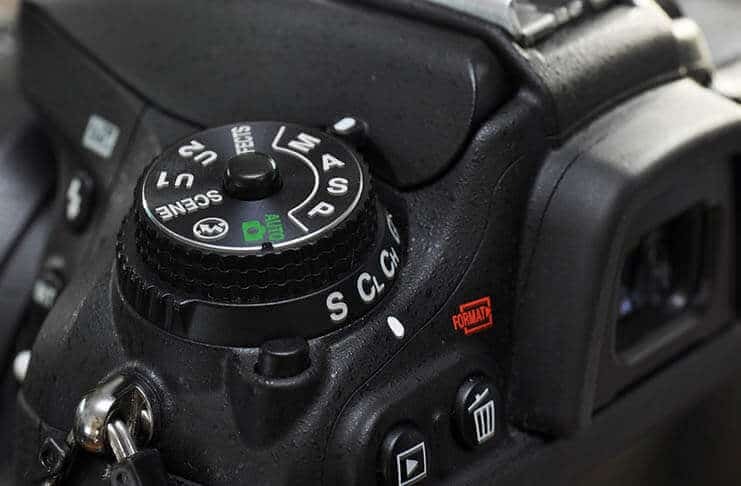 Since you require an absolutely still camera you’ll probably use a cable release (or wireless remote) to trip the shutter release button once which raises the mirror up. Trip the cable release again to activate the shutter. Use this mode for time exposures, sunrises, sunsets or during such poor light the shutter must be open long enough the tiniest vibration would ruin the focus. This is also a good choice for macro shots from a tripod. Next articleWhat is the CCD?